Here are a few tips to go along with the below list. Buy a couple of tubes of chapstick and put one in your ski pants and one in your coat along with a thing of tissues. You never remember to take these until your sitting on the chairlift with your nose running. Always keep a thing of sunblock in your car (this is a good tip anytime of the year but you tend to forget it more in the winter). I’m single so luckily I only have to keep track of my own gear. I took to keeping all my gear in the back of my car. It’s easier than hauling everything up the flights of stairs of my apartment. 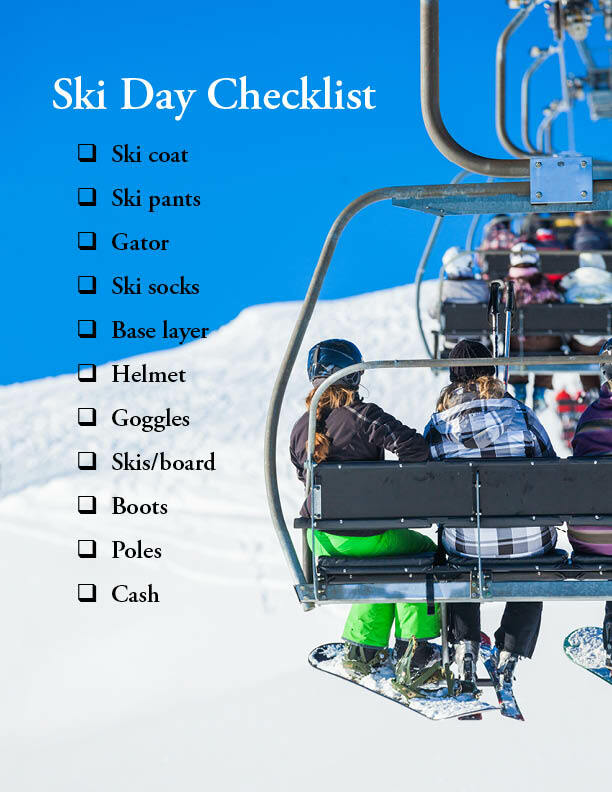 Click for the printable Ski Checklist.